This video provides 8 reasons why companies choose Imatest, and explains how Imatest can bring value to you. This videos provides an brief overview of Imatest software and it’s capabilities. To begin measuring image quality factors with Imatest software, it is important to set up a controlled lab environment with proper charts and lighting, tailored to the system you are testing. Before performing image quality testing, consider your unique requirements and lab environment variables including imaging system alignment, test/focusing distance, camera support, lighting, and chart selection/mounting. Even, glare-free illumination is essential for achieving accurate, repeatable measurements. 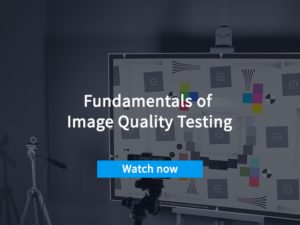 Learn about the most important factors to consider when selecting proper lighting for your image quality testing requirements. Lenses with normal, wide, ultra-wide, and narrow fields-of-view will determine the charts and equipment you need to properly test your camera systems. The design, size, and substrate of your test charts are determined by the resolution of your sensor, field of view and working distances of your lens, and the image quality factors you need to test. The highest quality images are created by optimizing many key image quality factors. Sharpness determines the amount of detail an imaging system can reproduce. 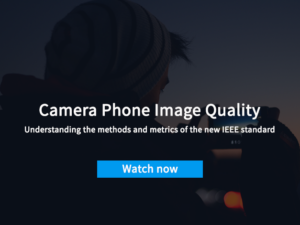 Learn how to optimize sharpness in your camera system using Imatest. The highest quality images are created by optimizing many key image quality factors. Noise is an undesirable random spatial variation, visible as grain in film, or pixel level fluctuation in digital images. Learn how Noise effects your camera system using Imatest. Lateral chromatic aberration (LCA), AKA lateral chromatic displacement (LCD) and “color fringing”, is a lens aberration that causes colors to focus at different distances from the image center. It is most visible near the corners of images. In this video, we will explain the techniques used to measure for LCA. Learn the basics of testing color accuracy, including how to process RAW images, measurement techniques, and how to encode color for human perception. The highest quality images are produced by optimizing many key factors. Dynamic Range is characterized by the ratio between the highest light intensity that a camera system can capture and the darkest tones that become indistinguishable from noise. Dynamic range measurements are useful for optimizing system performance and for verifying camera design specifications. Informed consumers seek camera systems with superior dynamic range, which can capture information in dark shadows while maintaining detail in brighter areas. ISO Sensitivity (or ISO speed) is a measure of how strongly an image sensor and/or camera responds to light. The higher the sensitivity, the less light (smaller aperture and/or shorter exposure time) required to capture a good quality image. Where your image becomes darker the further you get from the center. This is due to the radial nature of the lens which collects more light in the center. It can be particularly strong with wide angle lenses. Non-uniformity is also caused by the chief ray angle of light incident to the sensor which has reduced quantum efficiency as the angle increases. Lens (optical) distortion is an aberration that causes straight lines to curve near the edges of images. It can be troublesome for architectural photography and photogrammetry (measurements derived from images). Reading an Imatest Plot Episode 1: Tonal Response, White Balance, and Gamma. Imatest 5.0 includes groundbreaking additions to expand the capabilities of your image quality testing pipeline. For more information, please visit www.imatest.com/imatest-5-0. With enhancements and additions for a variety of industries, Imatest 4.5 provides you with all of your image testing needs. Imatest 4.2 adds new image quality measurements features, enabling MTF testing for wide field-of-view lenses with SFRreg, and an estimation of an imaging system’s point spread function. Imatest provides customers with objective measurements and insights for the development and production of imaging systems. 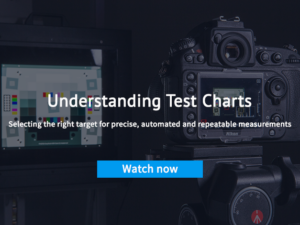 Used by hundreds of companies for developing and testing digital cameras and imaging systems, Imatest Master allows users to test for a variety of image quality factors, including the ability to analyze over 30 test charts with different features for measuring color, tone, sharpness and more. Overview of the powerful capabilities of Imatest Industrial Testing Edition. 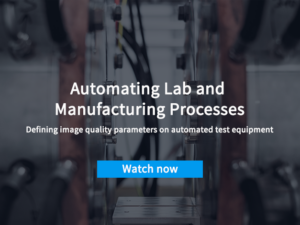 Using Imatest’s algorithms, Imatest IT generates rigorous and repeatable image quality results for manufacturing and quality control. The ISO 12233:2014-compliant eSFR ISO test chart enables calculation of a number of image quality factors, including but not limited to spatial frequency response, chromatic aberration, tonal response, gamma, white balance and color reproduction. The key differences between SFRplus and eSFR ISO are outlined. These charts share many similar features and can be used to perform many similar image quality analyses. Understanding which features differ will help you select the most appropriate test chart to analyze your imaging systems. The elements of the SFRplus test chart enable calculation of a number of image quality factors, including but not limited to spatial frequency response, geometric distortion, tilt, chromatic aberration, tonal response, gamma, white balance and color reproduction. Imatest SFRreg performs highly automated measurements of sharpness and lateral chromatic aberration from images that contain registration mark patterns: circles with two light and two dark quadrants. Unlike standard test charts, these patterns do not need to be located on a flat surface. Imatest can estimate an imaging system’s loss of resolution (point spread function) using a pair of collocated, near-sagittal and tangential slanted edges on SFRplus, eSFR ISO and SFRreg targets. Easily analyze and improve sharpness, chromatic aberration, and distortion measurements. 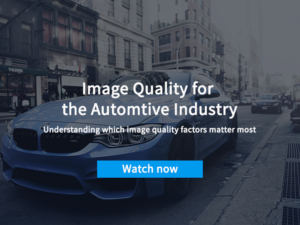 Imatest’s Norman Koren presents his vision for challenges in automotive image quality testing. This video was previously recorded at Autosens Detroit 2017, the world’s leading vehicle perception conference. See more more at www.auto-sens.com. The slanted-edge method of measuring the spatial frequency response (SFR) as an approximation of the modulation transfer function (MTF) has become a well known and widely used image quality testing method over the last 10 years. This method has been adopted by multiple international standards including ISO and IEEE. Nearly every commercially available image quality testing software includes the slanted-edge method.